M A Yusuff Ali does not need an introduction to business world. According to August 2016 data of Forbes, he is the 24th wealthiest Indian and the 270th richest in the world, with a personal wealth of $4.3 billion. But his Indian stock market investments might need a little bit of introduction as many of us would not be fully aware of his investments in listed and unlisted companies in India. In this post we are trying to peep into some of his investments from publically available data points. As you are aware, we cover most of the big shots in Indian stock market like Rakeshji, Vijay Kedia, Ashish Dhawan etc. A typical retail investor mindset is that, these guys started investing in stock market from 1990's and made their wealth and it is not possible to even reach 1% of their wealth by investing now. This post is basically to break that myth. 1. Federal Bank. In 2013, M A Yusuff Ali bought nearly 4.5 percent stake in Federal Bank at approx INR 40. As of today the investment has given an astonishing CARG of nearly 32% and has beaten 80% of the fund managers in India over a period of 3 years. 2. 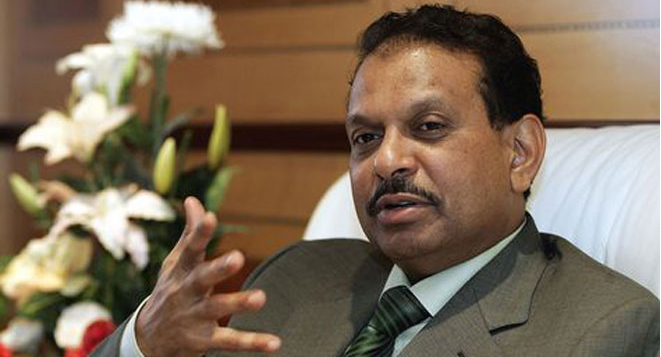 In 2013, Ali acquired 4.99% equity in the 93-year-old Thrissur based Catholic Syrian Bank. 3. As per March 2017 shareholding pattern, Ali is holding 4.95% (89189077 shares) of South Indian Bank. 4. Cochin International Airport is the first PPP venture in the history of civil aviation in India where Government of Kerala, NRIs, general public, financial institutions, Airport Service Providers and others joined hands in the equity structure. M A Yusuff Ali is the single biggest individual share holding with a whopping 9.37% stake. This represents 2.87 crore of the total 30.6 crore CIAL shares. CIAL is one of the most profitable company in Kerala for the past few years. 5. The Kannur International Airport is the second greenfield airport setup after Cochin International Airport in the public private partnership (PPP) model in civil aviation infrastructure sector in Kerala. We assume that M A Yusuff Ali would be holding at-least 5% to 10% stake in Kannur International Airport as well. After the studies he left India with full of uncertainties in 1973 to Abu Dhabi where his paternal uncle had a small business. After joining the business, Yusuff Ali diversified the business to include import and distribution of frozen products from Europe and the US. The products were available in Abu Dhabi and in the interiors of the Emirates. The business was soon expanded to include both food & non-food categories. The group also started cold storages, meat and food processing plants, catering companies, large-scale import and distribution to hotel groups and shipping services. By the 1980s, the group had a notable share of the wholesale and retail food market in the UAE. He started his first Lulu Hypermarket in the 1990. "I opened my first LuLu store in 1990 at the height of the Gulf War, on airport road in Abu Dhabi. A few years before or after wasn't a risk, but that year it was extremely so. The expat population was talking about pulling their money out and fleeing the region! I thought to myself that this is my business, and I have invested so much in it, and in the community. I decided to stay and go ahead." "It was harder at that time, 40 years back, hardly out of your 20's- you want a vision, a guiding light, to keep you going. Against all odds, what kept me grounded in UAE in the initial days, was that I had to succeed. I told myself I must succeed." As of today, LuLu Group headed by M A Yusuffali has 40,000+ employees from nearly 37 different countries and operational bases extending over the UAE, Kuwait, Bahrain, Saudi Arabia, Oman, Qatar, Egypt, Indonesia, Thailand, Vietnam, Malaysia, China, Kenya, Uganda, South Africa, Turkey, USA, Spain, Brazil, United Kingdom and India. Lulu group is one of the most successful corporates of the times with a steadily ascending growth curve over the last 10 years. As of now LuLu Group has an annual turnover of approx USD 7 billion globally. M A Yusuff Ali did not have any stock market history until 2012. In 2013, he started betting on business which he can understand - banks. He targeted the banks, just around him. He bought stake in Kerala based private banks like Federal Bank, Catholic Syrian bank, South Indian Bank etc. Though he might have different interest and business goals, the idea was pretty simple- Invest within your circle of competence!!. Knowingly or unknowingly M A Yusuff Ali followed the best advise of the ever legend Warren Buffet - "Invest on business which you can understand"
Invest within your circle of competence. What an investor needs is the ability to correctly evaluate selected businesses. Note that word “selected”: You don’t have to be an expert on every company, or even many. You only have to be able to evaluate companies within your circle of competence. The size of that circle is not very important; knowing its boundaries, however, is vital. Our favorite holding period is forever. Time is the friend of the wonderful company, the enemy of the mediocre. Reputation is your most important asset. It takes 20 years to build a reputation and five minutes to ruin it. If you think about that, you’ll do things differently. Intrinsic value and a margin of safety. Long ago, Ben Graham taught me that ‘Price is what you pay; value is what you get'. Whether we’re talking about socks or stocks, I like buying quality merchandise when it is marked down. Many of us would have started investing in Market from 2000's which means you are a veteran compared to M A Yusuffali's experience in Indian stock market. The question is "Are you able to make a 30% CAGR in the last 3 years?". If the answer is yes, hats-off to you!!. If not, its time for a retrospective thinking about your investment style! !